The stories and everyday lives of these women inside Takhar Prison, Afghanistan, were explored in a screening of the feature-length documentary “No Burqas Behind Bars,” a film by Nima Sarvestani and Maryam Ebrahimi, on Birzeit University’s campus. The film highlights the unjust imprisonment of women in Afghanistan, who among them, have an average prison sentence of 10 years. The crimes that these women have committed include running away from abusive husbands, leaving adulterous marital relationships, falling in love with someone not approved by their families, and wanting to marry someone other than the pre-chosen, pre-approved husband. 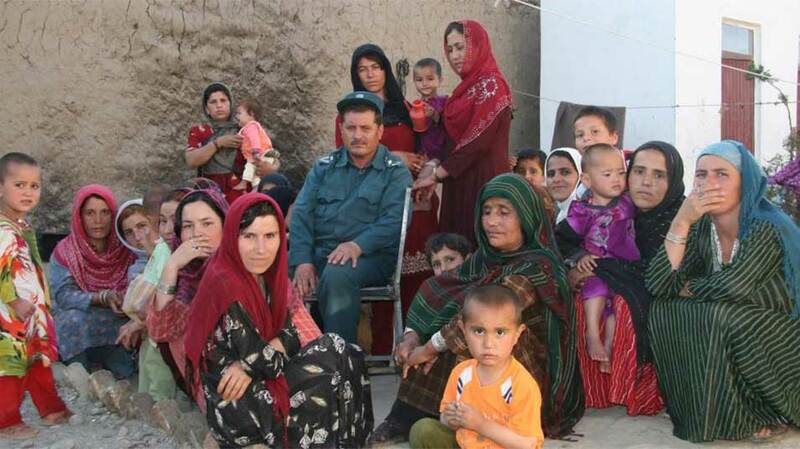 The fact that a woman who murdered someone was sentenced to five years, while a woman who fled her marriage was sentenced to ten, does say something about the status of women’s rights in Afghanistan. Most of the women inside the prison are accompanied by their children, who range from two-month-old babies to ten-year-old children. The two-month-old baby was born inside the prison; his mother was pregnant with him when she fled her marriage. The walls of the prison are all that he’s known, and all that he will know for the rest of his mother’s ten-year prison sentence. The screening, held on January 30, 2018, was organized by the Birzeit University Museum, in cooperation with the A.M Qattan Foundation, Ramallah Cinema Club, GalleryOne, and the Institute of Women’s Studies at Birzeit University. It is part of the Out of Reels film program, itself part of the On Women in Revolutions exhibition, which will be held at the museum in the coming months. The exhibition will feature cinematic films highlighting women who lead revolutionary and liberation movements worldwide.